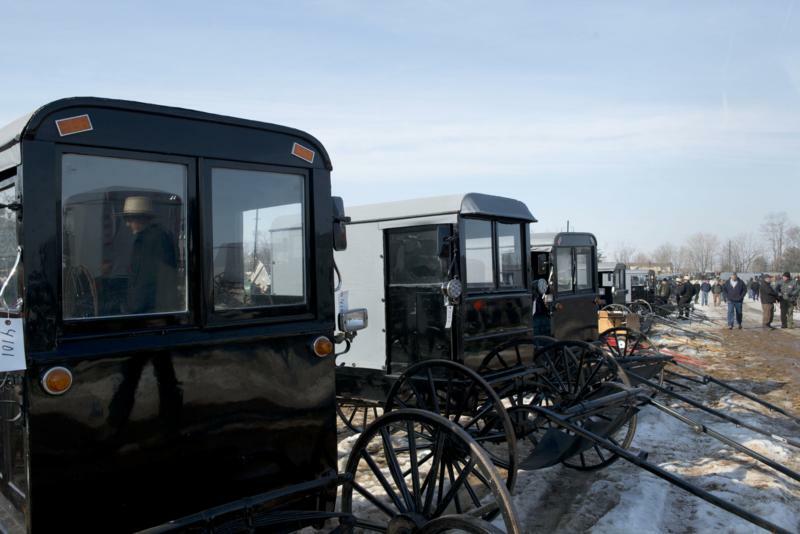 Enjoy a visit to Soergel Orchards just north of Pittsburgh, a family farm established in the 1850's. 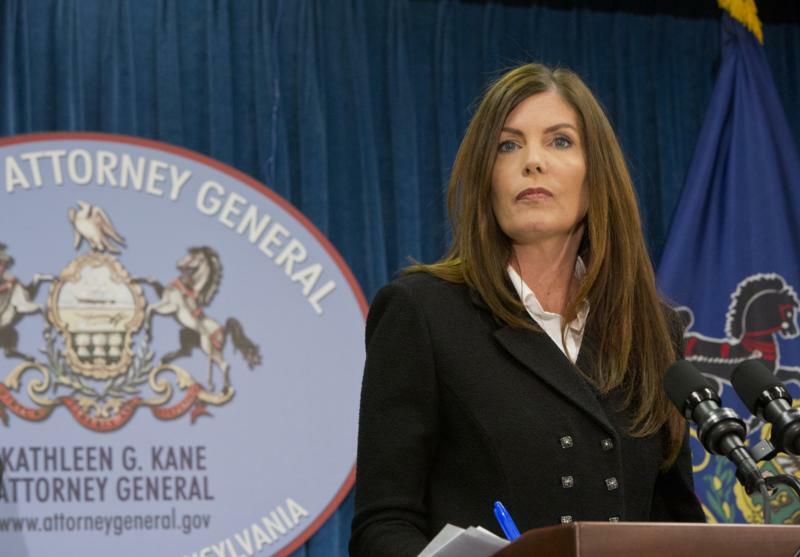 Attorney General Kathleen G. Kane addressing recent erroneous, anonymous allegations regarding a flawed investigation (Case File No. 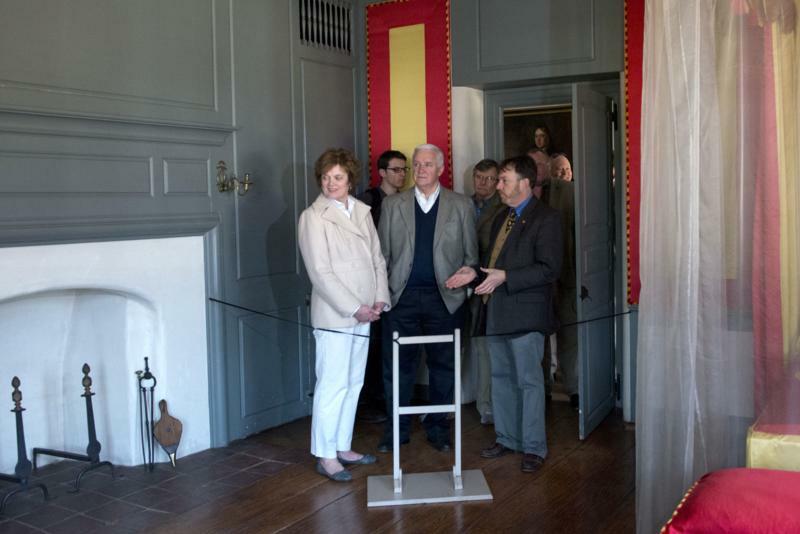 36-622). 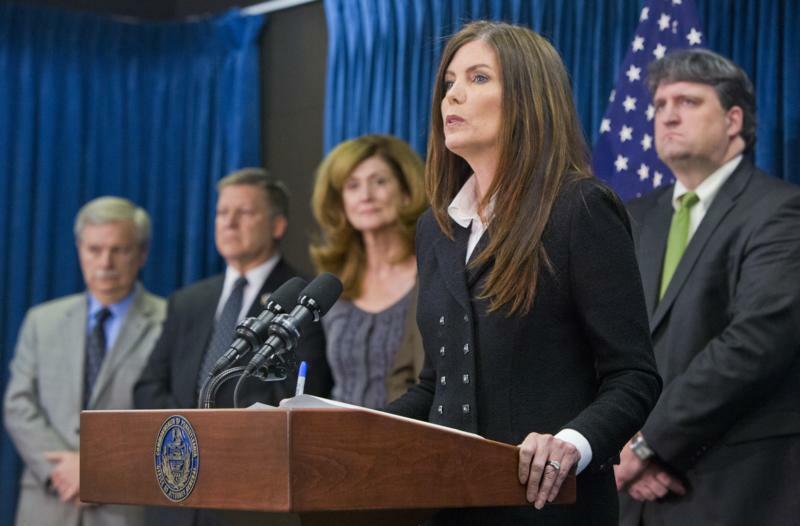 "The allegations made by several cowardly anonymous sources in today's Philadelphia Inquirer paint an inaccurate and sensational version of the details and timeline of events related to Case File No. 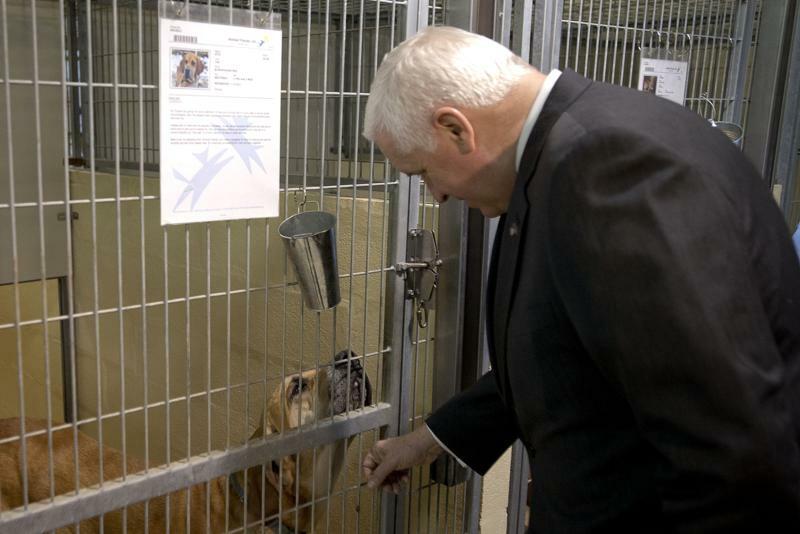 36-622. 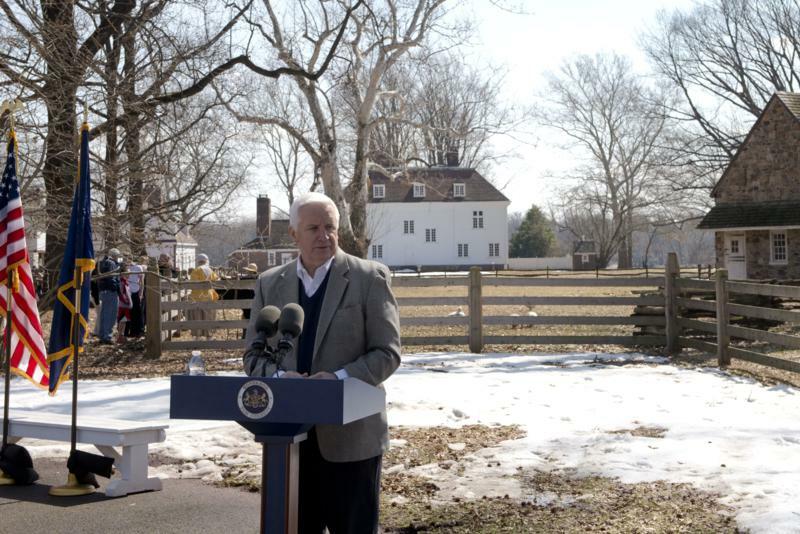 The real truth is that this investigation was not only deeply flawed, but unraveled long before I was elected and then took the oath of office. 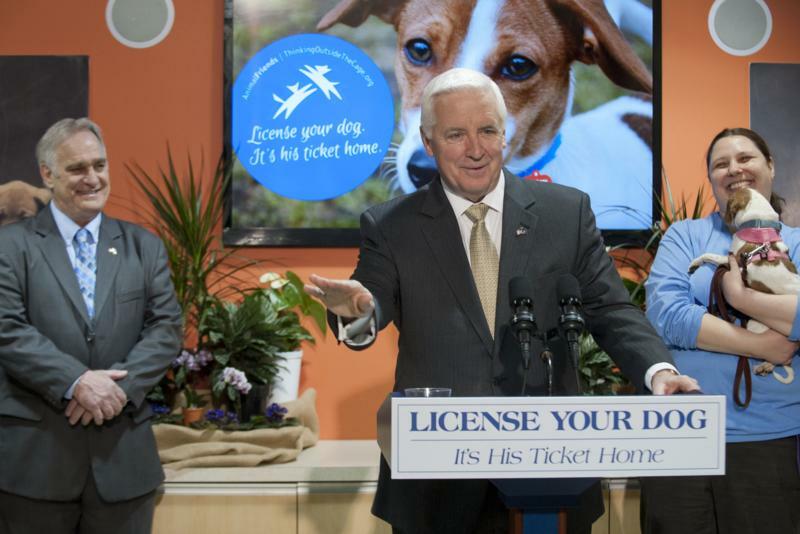 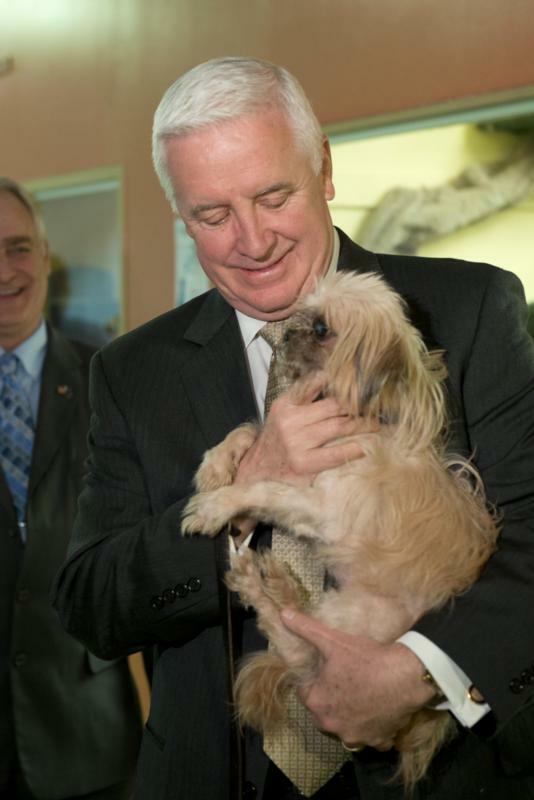 Pittsburgh - Governor Tom Corbett today urged Pennsylvanians to license their dogs, saying a current dog license is the best way to ensure lost dogs are reunited with their families. 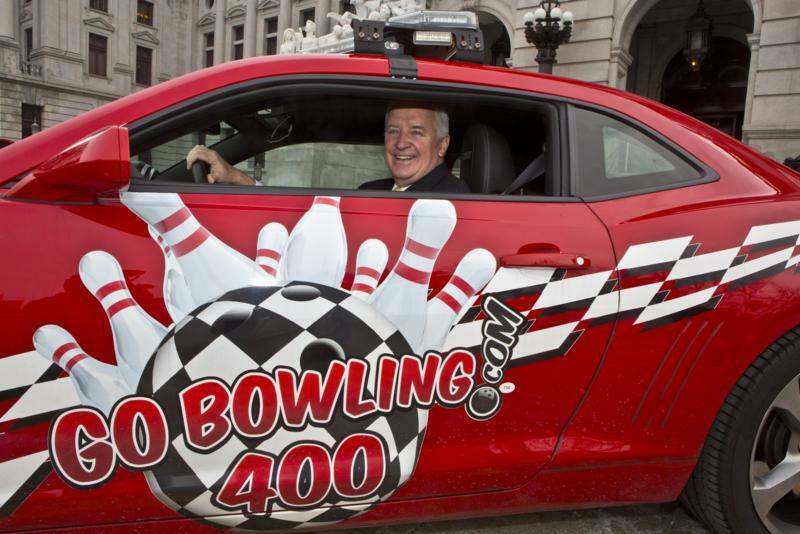 Governor Corbett today joined Pocono Raceway CEO Brandon Igdalsky, NASCAR and INDYCAR officials and state legislators to officially kick off the 2014 Pocono Raceway Season and to announce the award of $5 million in Transportation Infrastructure Funds to widen roadways and improve traffic flow to and from the raceway. 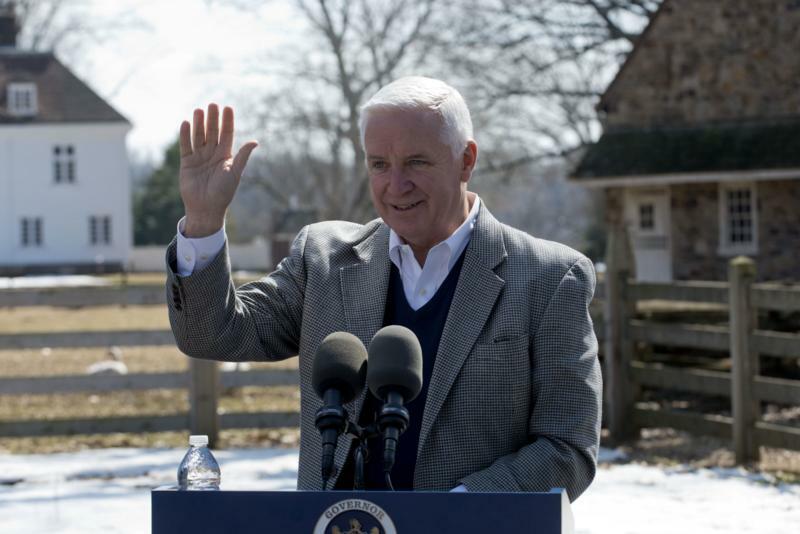 Governor Corbett Officially Kicks Off 2014 Pocono Raceway Season; Announces $5 million in Transportation Infrastructure Funds to Improve Traffic Flow at Raceway Total economic impact on regional income is projected to be $277 million in 2014. 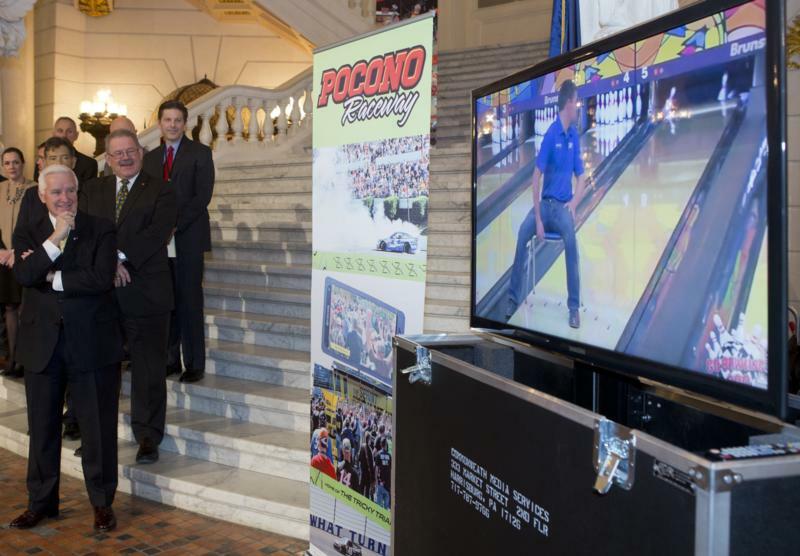 Harrisburg - Governor Corbett today joined Pocono Raceway CEO Brandon Igdalsky, NASCAR and INDYCAR officials and state legislators to officially kick off the 2014 Pocono Raceway Season and to announce the award of $5 million in Transportation Infrastructure Funds to widen roadways and improve traffic flow to and from the raceway. 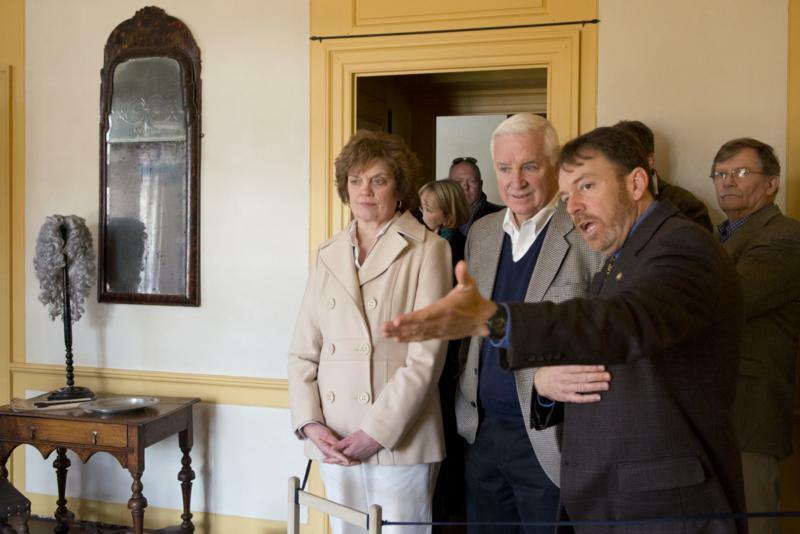 Morrisville - Governor Tom Corbett, along with First Lady Susan Corbett, today visit ed Pennsbury Manor to mark Pennsylvania's Charter Day. 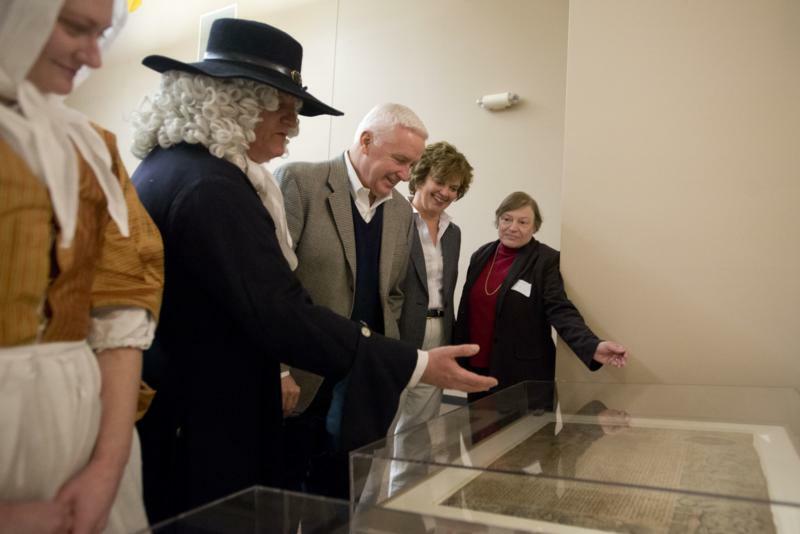 Charter Day celebrates the birthday of Pennsylvania and provides visitors a special opportunity to see the original Charter of Pennsylvania. 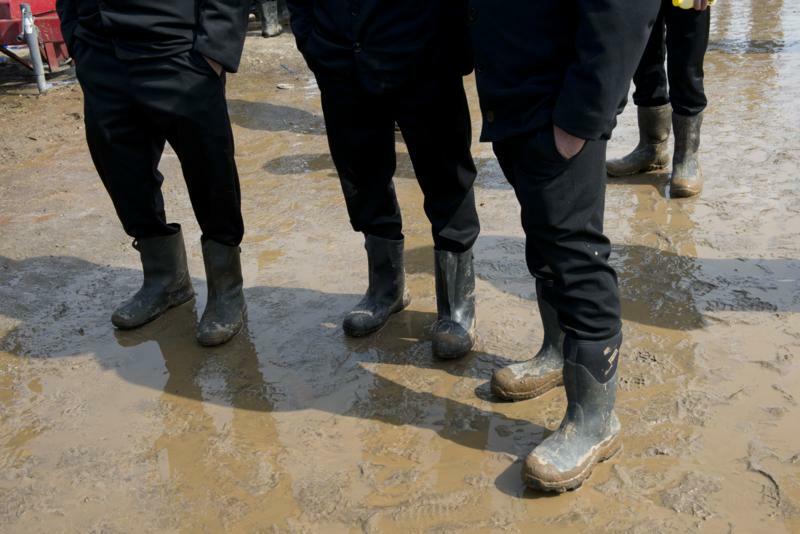 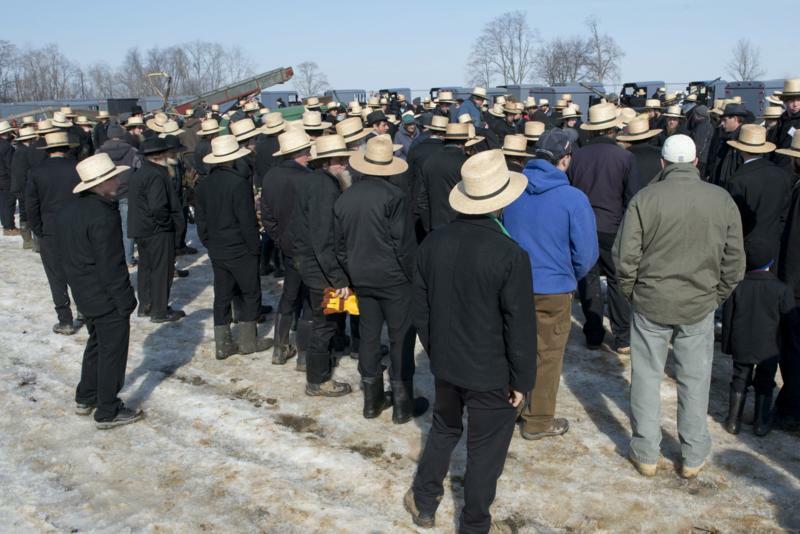 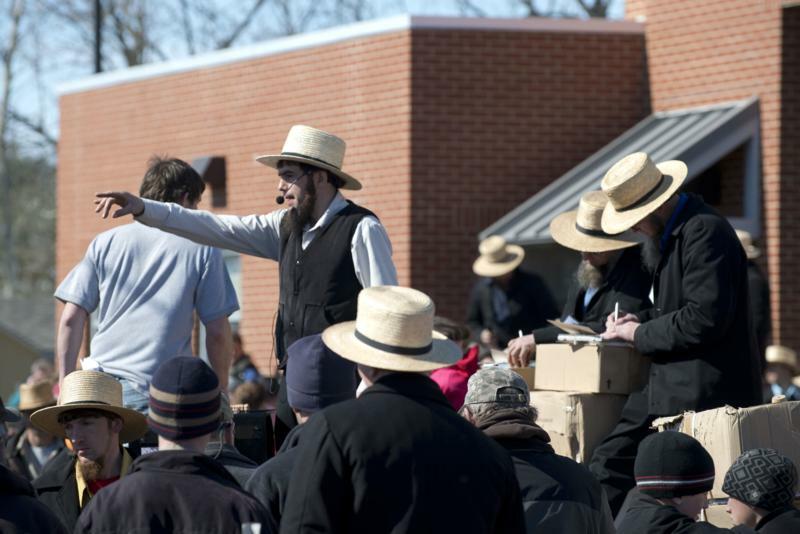 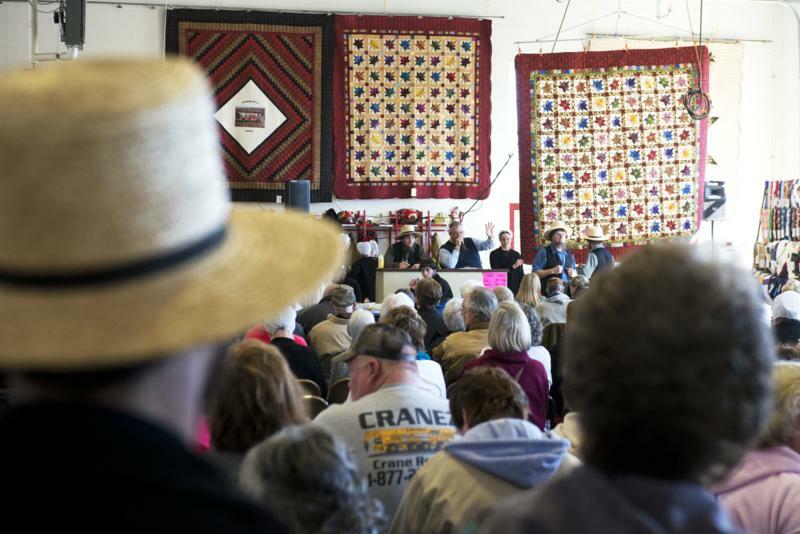 Volunteer Fire Companies Hold Amish Mud Sales. 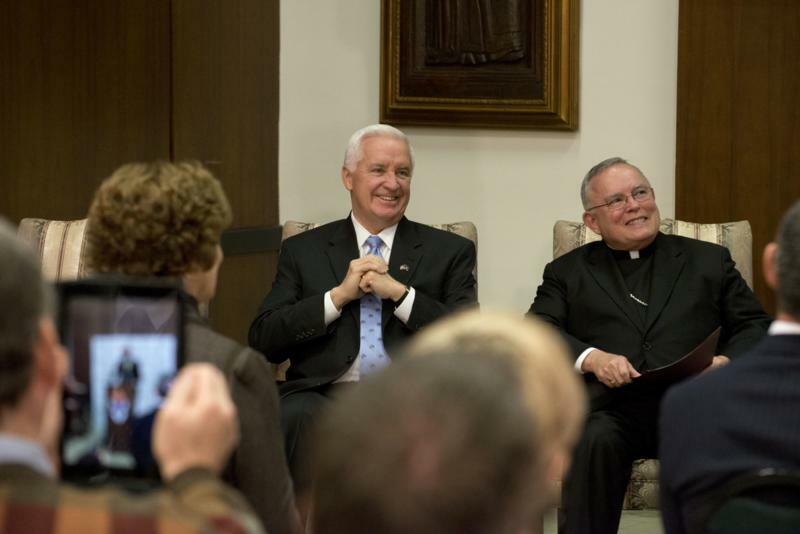 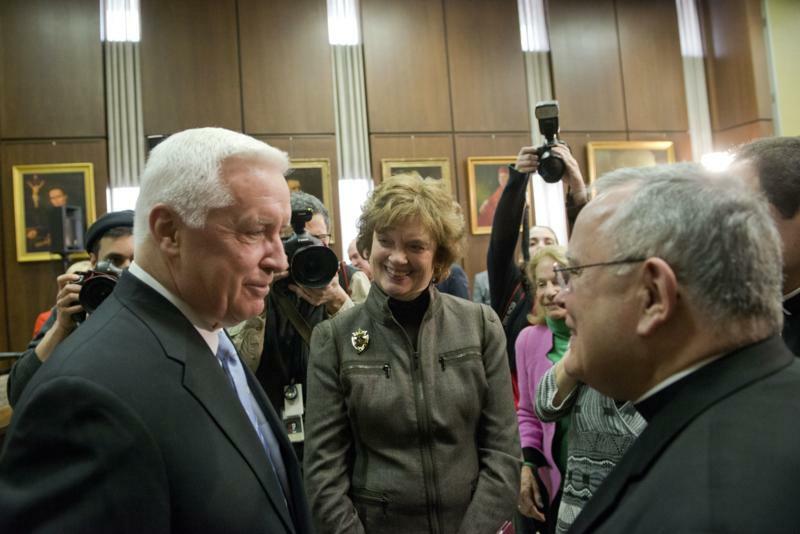 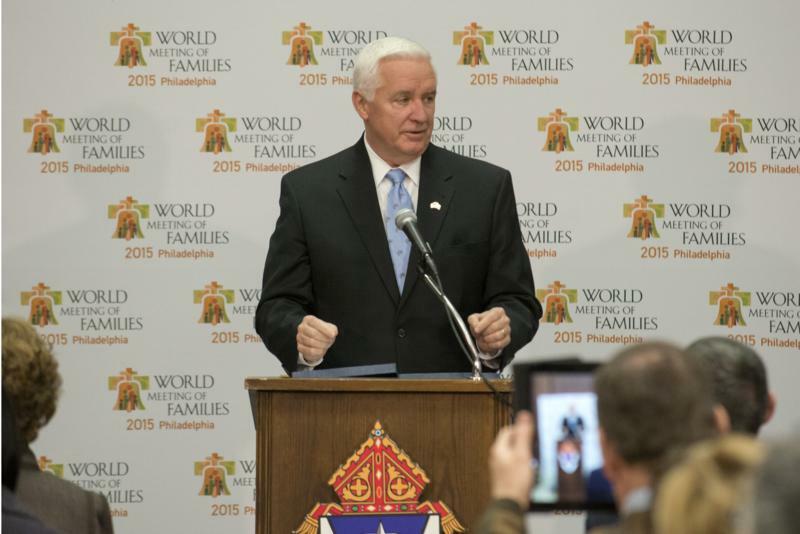 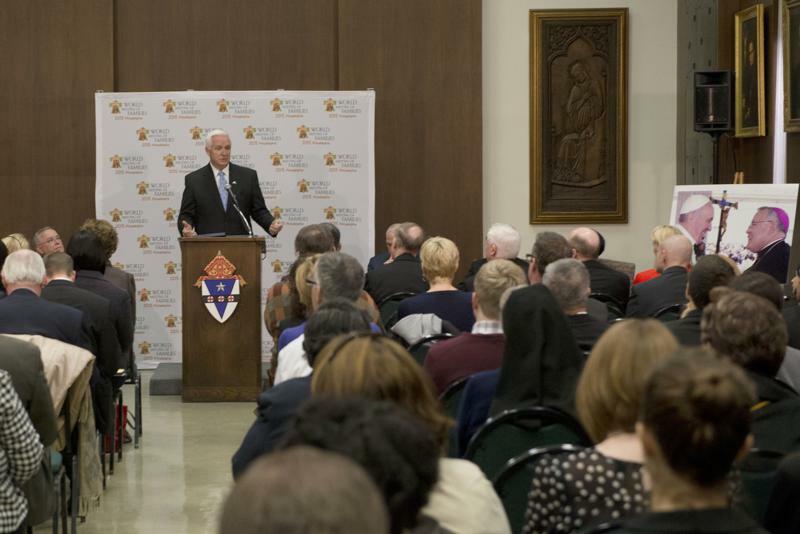 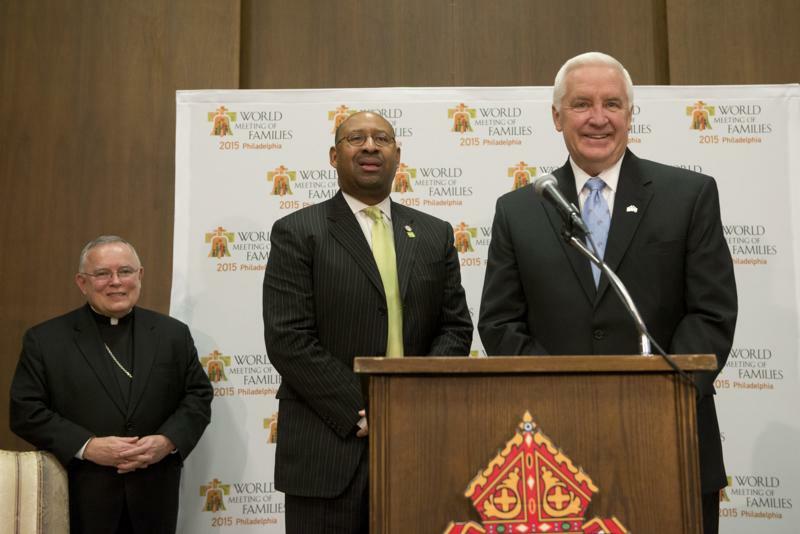 Philadelphia-Governor Tom Corbett and First Lady Susan Corbett today joined Philadelphia Archbishop Charles Chaput, Philadelphia Mayor Michael Nutter and members of the business and civic community to announce that they have been invited to travel to the Vatican to begin planning for the Eighth World Meeting of Families. 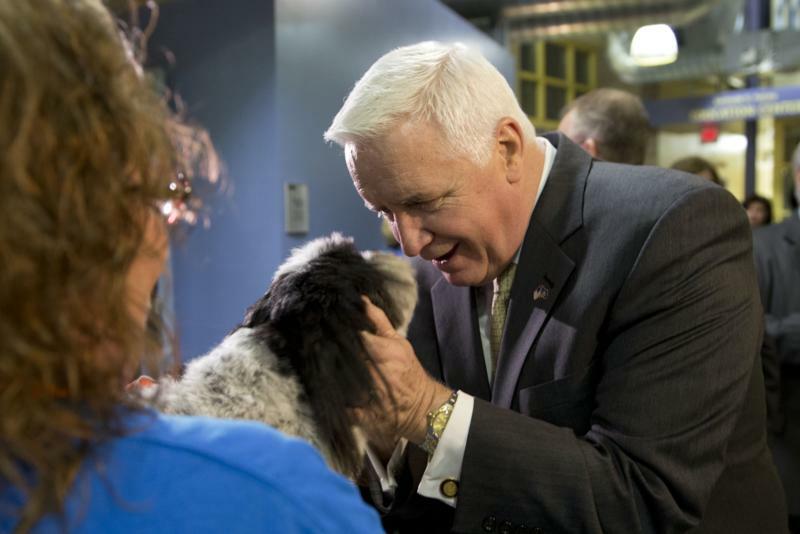 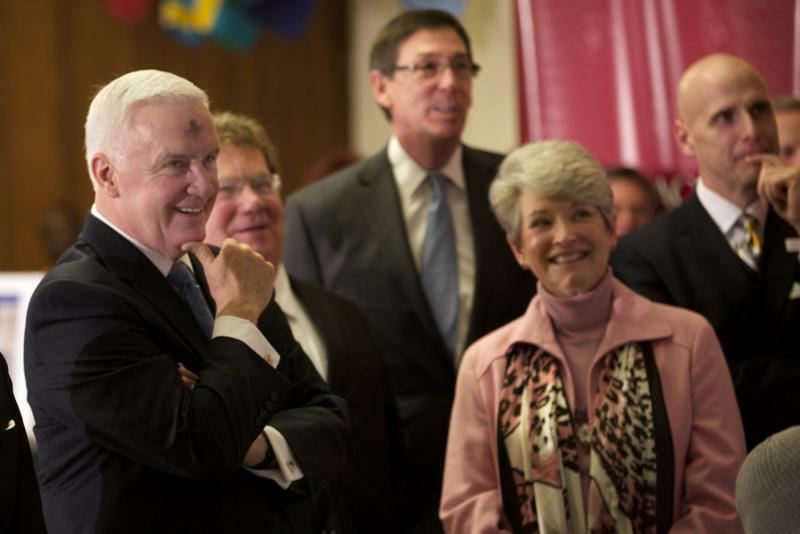 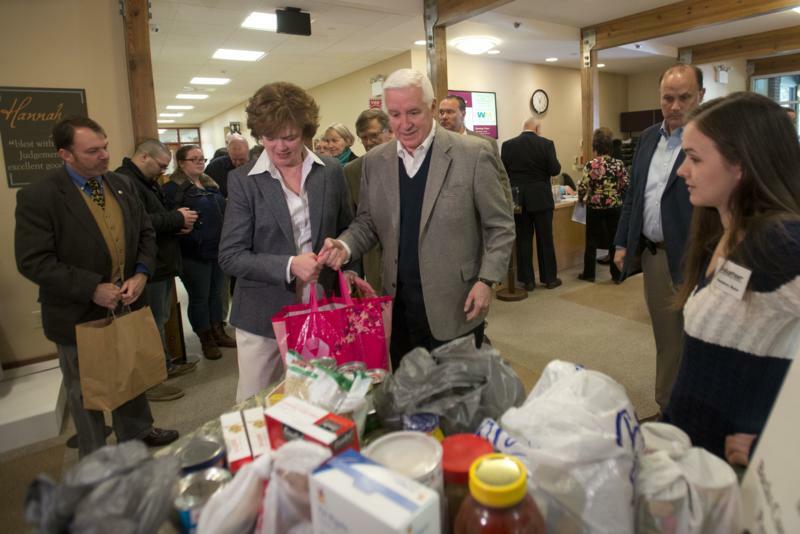 Harrisburg, Pa. - Governor Corbett today unveiled Big Interview, the latest enhancement to Pennsylvania's job-matching website, JobGateway?. 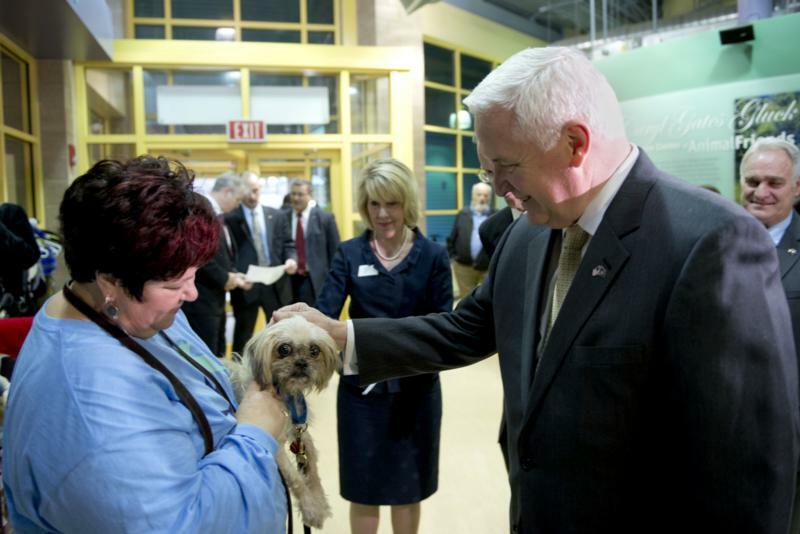 Big Interview, a mock interview tool to help job seekers prepare for the workforce, was introduced at Harrisburg Area Community College with Labor and Industry Secretary Julia Hearthway, HACC President John "Ski" Sygielski, State Workforce Investment Board (WIB) chairman Dave Malone, WIB members and HACC faculty and students. 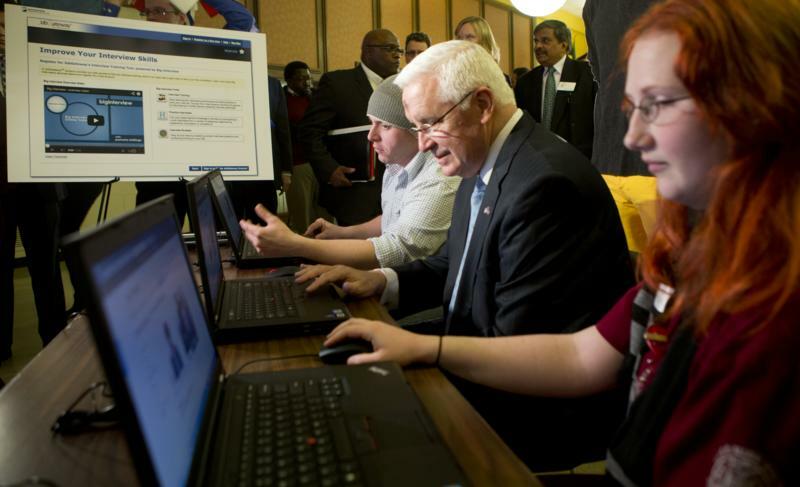 Harrisburg, PA - Governor Corbett today unveiled Big Interview, the latest enhancement to Pennsylvania's job-matching website, JobGateway. 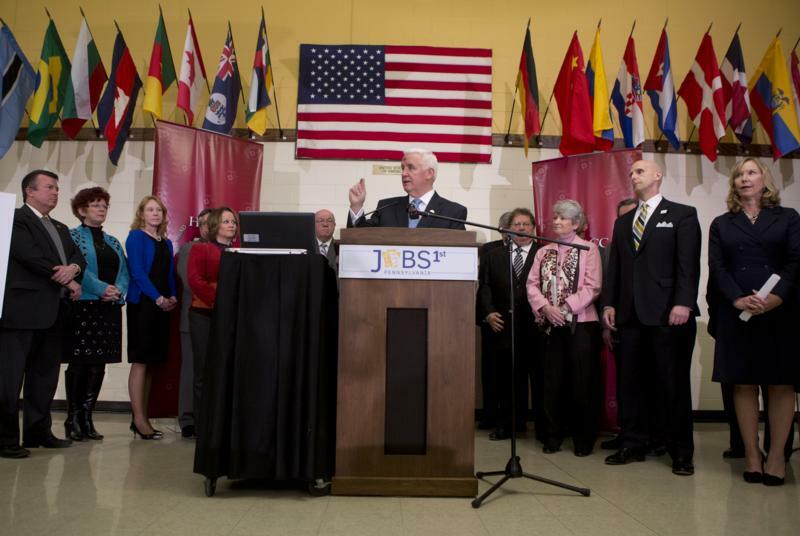 Big Interview, a mock interview tool to help job seekers prepare for the workforce, was introduced at Harrisburg Area Community College with Labor and Industry Secretary Julia Hearthway, HACC President John "Ski" Sygielski, State Workforce Investment Board (WIB) chairman Dave Malone, WIB members and HACC faculty and students.